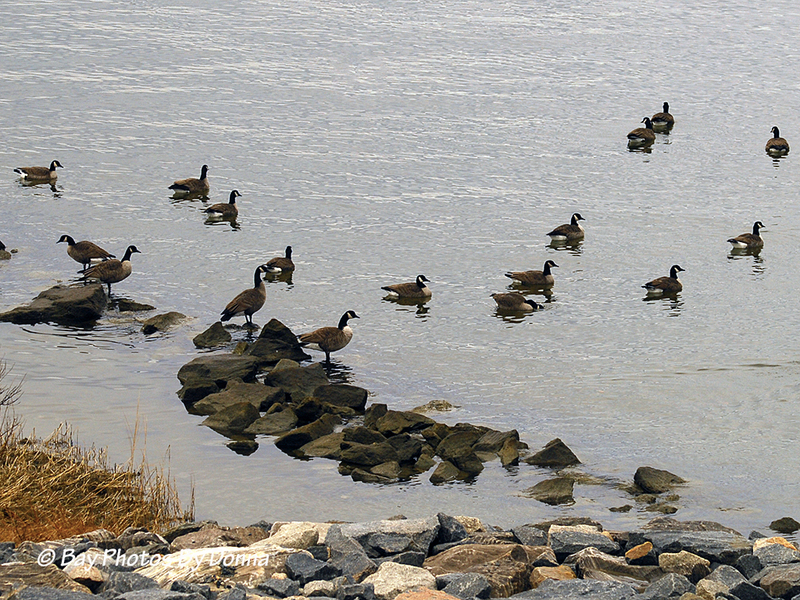 Here around the Maryland Eastern Shore and the Chesapeake Bay area, the migratory Canada Geese and Snow Geese have arrived for the winter season. 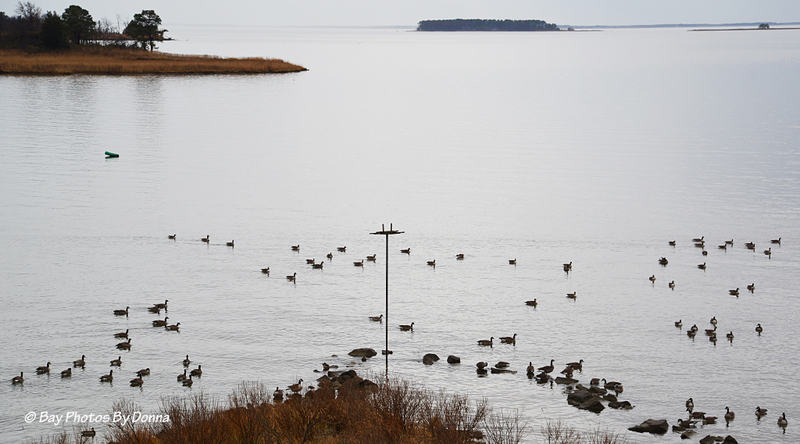 The Canada Geese have been in the area for some time, but the numbers have increased considerably. I had mentioned before how much I enjoy listening to them at sunrise from my balcony, honking from the distant coves on Kent Island and Marshy Creek, discussing their upcoming day and plans for departure, what a delight. 🙂 It is awesome to watch the world awaken around the water, especially with a cup of coffee and camera! If only I could do it every day…..sigh….oh yeah, that’s called retirement. Some day I hope! Anyhoo! 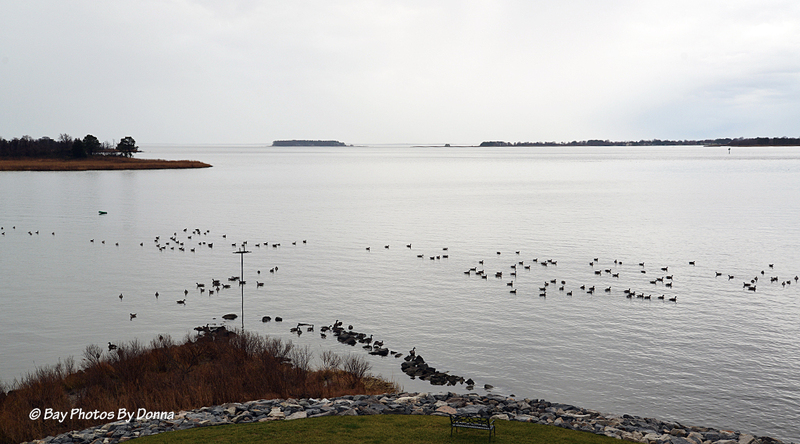 I lucked out just before Christmas watching a flock of Canada Geese swim out of Marshy Creek to head out for the day. For some reason, a few decided to come in close and make a brief stop at the base of our osprey nest platform. Out came the camera, they rarely come near or on our berm! 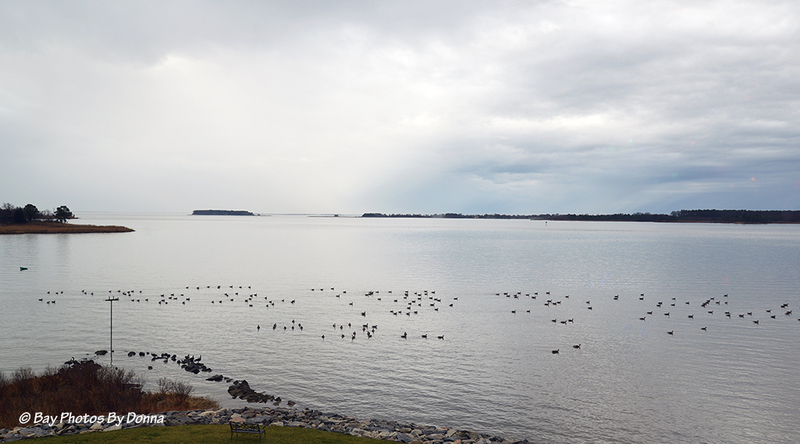 They were soon back in the water and continued to swim towards Kent Island. When I checked on them a short time later, they had already taken flight and were gone! 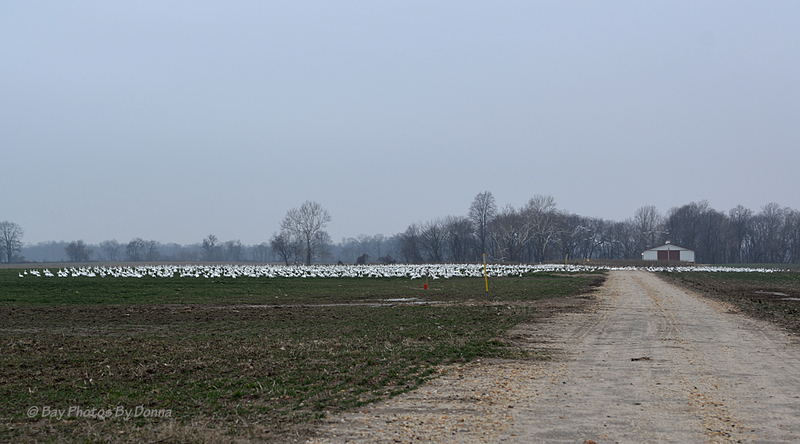 The Snow Geese arrive each winter inland east of me in the vast farm fields abundant with dead vegetation throughout Maryland Eastern Shore and Delaware. My travel to and from work in Delaware is along the Rt. 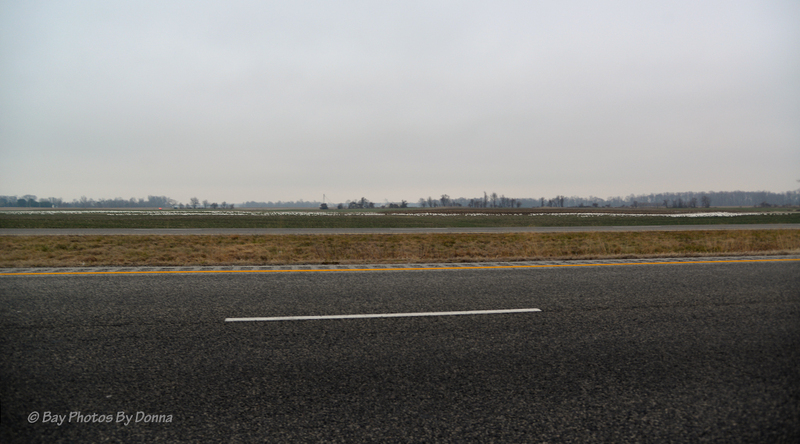 301 corridor that is nothing but farm fields. For the past two weeks, I’ve sighted Snow Geese on four different days. The first two times, they were less than 50 feet from the road! I did not have my camera either time, shame on me. The third time, they were at such a distance at dusk that the photos were terrible (yes, this time I did have my camera!). And finally, yesterday on my way home as sleet was beginning to fall, there they were across the dual highway at the corner of Rt. 301 and Rolling Bridge Road, in the Centreville area. Looked almost like snow on the field. I only had my 24-120mm lens with me and quickly saw I wasn’t close enough. I went up the road a mile and ramped off for a u-turn and headed back. Not really being much closer on the opposite shoulder, I went up and turned onto Rolling Bridge Road and pulled up alongside the one end of the stretched-out mass. 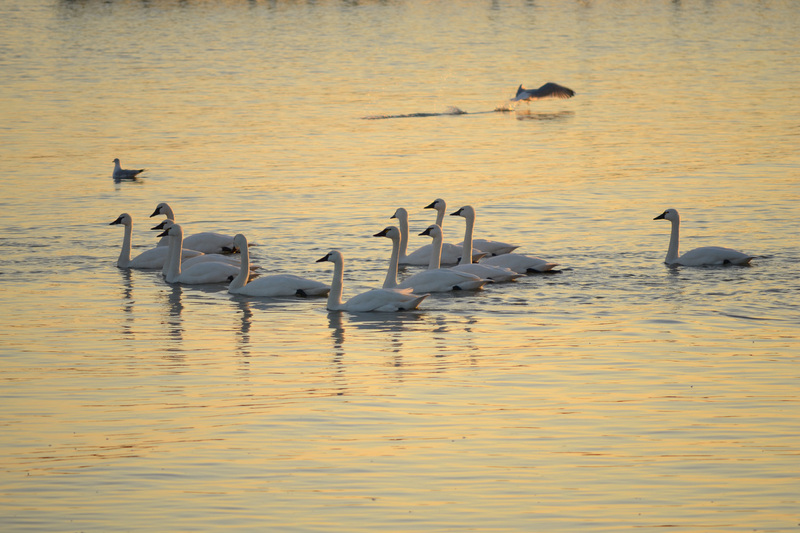 For some reason, getting my first photos of Snow Geese each season is always exciting. Now the challenge is to find a flock closer to the road WITH a camera in the car. 🙂 I hope I didn’t lose my chance for this season a couple weeks ago! It’s hard to believe that snow geese were close to be added to the endangered species list at one time, beautiful photos! Nice to find another Marylander blogging, these photos are great. Where did you find the snowys? The flock I got half-way decent photos were at the corner of Rt 301 and Rolling Bridge Road. They come to this field many times every year. All four of the flock sightings were on Rt 301 along the Centreville area, once at the corner of Rt 301 and Rt 313! Thanks for commenting, looking forward to another Marylander’s blog too! Glad to hear of someone else who appreciates the geese! Lots of folks around us don’t like them for the mess they leave behind. I think it just comes with the territory – and I enjoy listening to them and watching them too. 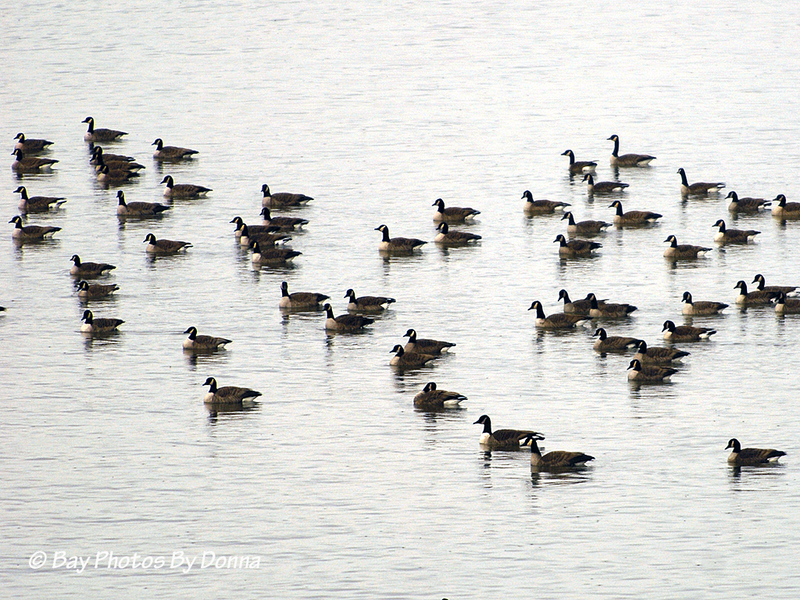 A beautiful sound — whether it’s the distant sound from a V migrating in the fall or spring, or the music of a field full of Canada geese. What an amazing sound as a flock of thousands of snow geese take off and arrive in a field. I went on a “Snow Goose Chase” in the spring a few years ago and must do so again.Do some of the Canada geese over-winter or move on? 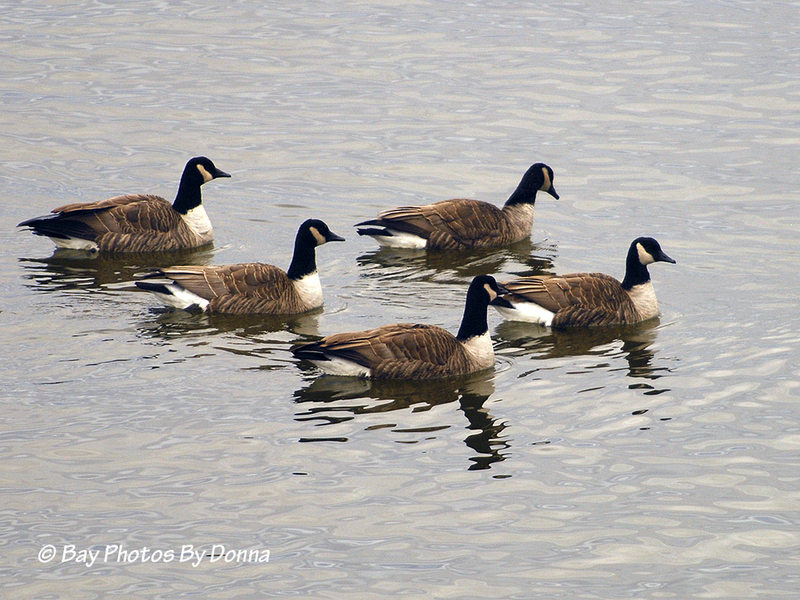 We have Canada geese all winter, and they seem to know the safe places to return each year and do so. They are unfortunately always on the move due to hunting season and those horrible gun-shots that echo, but we’ll have them come and go until that big migration heads back and they jump in. However, there’s always a few very small groups that reside year round throughout the Eastern Shore; there was a group of 8-10 that hung out off and on down the road from me along the water throughout the summer; with our July/August heat in the 90’s, I don’t know how they survive, I worry about them each year I see them.